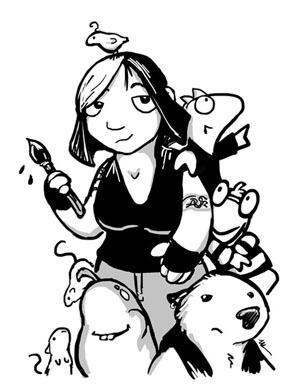 Ursula Vernon is the author and illustrator of far more projects than is probably healthy. She has written over fifteen books for children, several novels for adults, an epic webcomic called “Digger” and various short stories and other odds and ends. The daughter of an artist, she spent her youth attempting to rebel, but eventually succumbed to the siren song of paint (although not before getting a degree in anthropology.) Ursula grew up in Oregon and Arizona, went to college at Macalester College in Minnesota, and stayed there for ten years, until she finally learned to drive in deep snow and was obligated to leave the state. Having moved across the country several times, she eventually settled in Pittsboro, North Carolina, where she works full-time as an artist and creator of oddities. She lives with her husband, an elderly beagle, a redtick coonhound and a small collection of cats. 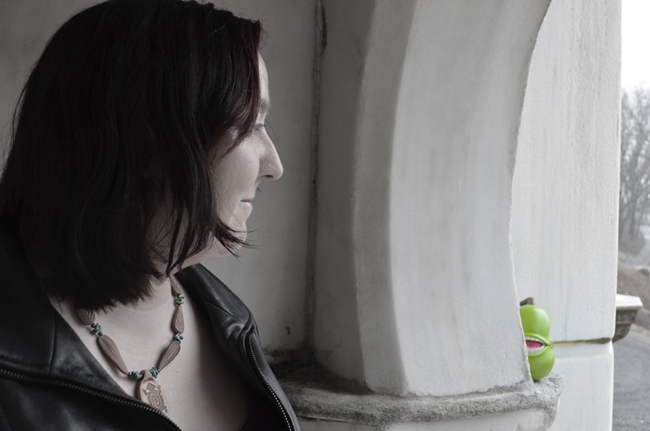 Her work has been nominated for the Eisner, World Fantasy, and longlisted for the British Science Fiction Awards. It has garnered a number of Webcomics Choice Awards, enough Junior Library Guild Selections to allow her to cosplay as a six-star general, and a mention in the New York Times, which she did not get tattooed to her forehead, despite her mother’s insistence. In addition to writing and making art, Ms. Vernon gardens, feeds the birds, and has an unhealthy obsession with mulch. Her current project is the Hamster Princess series of books for kids. She also writes for adults under the name T. Kingfisher.